You May Now Kiss The … Robot? Weddings are one of the most interesting aspects of our cultural landscape. The unity of two well-dressed people exchanging rings before their friends and family take advantage of an open bar and dance poorly (which is the tradition in my family at least) may seem like an interesting way to celebrate a relationship, but it is nonetheless a fairly standard part of living. However, in an extremely tech -focused world, a new type of wedding has become increasingly news-worthy, where a person will wed a form of technology rather than a flesh-and-blood human being. 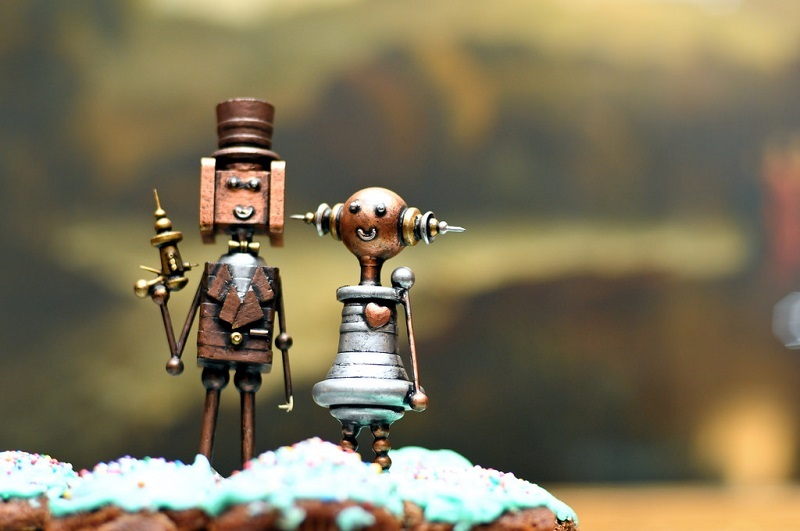 Let’s take a look at a few examples of robots taking yet another job away from humans: lovers. In November of last year, 35-year-old school administrator Akihiko Kondo married cyber celebrity Hatsune Miku in the form of a hologram. While the wedding was not recognized legally, the reaction in Japan, as well as other parts of the world, was varied between support and confusion. Say what you will about Kondo’s choice, but at the very least it must have been a pretty easy wedding to find out who was with the bride and who was with the groom. China’s Xheng JiaJia took things in a different direction in 2017, marrying a robot he constructed himself by the name of Yingying in a (mostly) traditional wedding ceremony. The two wed after two months of dating (which seems like taking things a bit fast for a human-robot wedding in my opinion) and looks to “upgrade” her with more vocabulary and the ability to do housework in the future. In other words, it’s kind of like if George Jetson ditched his family and eloped with Rosie the Robot. Actually, that would have made for a pretty good spinoff. Alexa, Will You Take Me In Holy Matrimony? While the other stories on this list detail actual wedding ceremonies in extremely well-written detail, one particular piece of AI has received its fair amount of suitors: Amazon’s Alexa. In 2017 alone, Alexa received over one million marriage proposals from users. According to Business Insider, Alexa will generally respond along the lines of, “We’re at pretty different places in our lives. Literally. I mean, you’re on Earth and I’m in the cloud.” In other words, the old “it’s not you, it’s me.” Fine. I wouldn’t want to be with someone that steals all my data anyways.